Admittedly, Professor Geoffrey Lipman is one of those persons whose professional experience and biography are more suited for a book and hardly fit into a single interview. His story is certainly among the most intriguing we have come across so far in our interview series with sustainable tourism thinkers, shakers and doers. 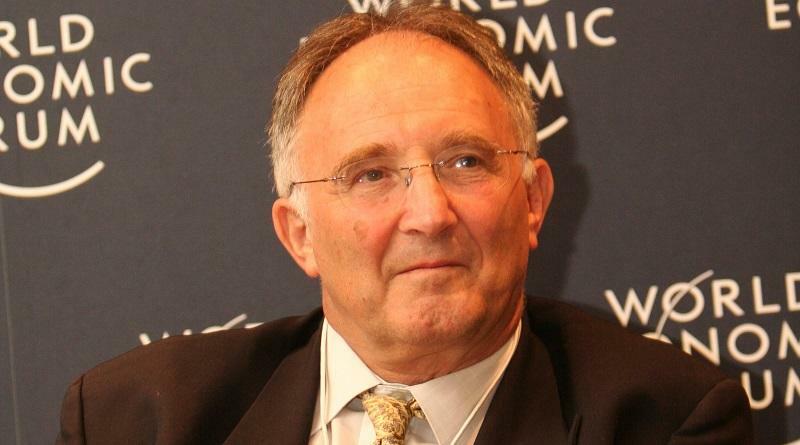 A “Creative Disruption Architect”, Geoffrey Lipman has held many posts, has been at the helm of some of tourism’s most reputable organizations – and judging by his enthusiasm for GreenGrowth and the SUN project, there is no end in sight for his career as facilitator and entrepreneur. What he’d do different, given the chance to start over again. Geoffrey, when and where did your sustainable tourism journey begin – when did you discover your passion for sustainability? 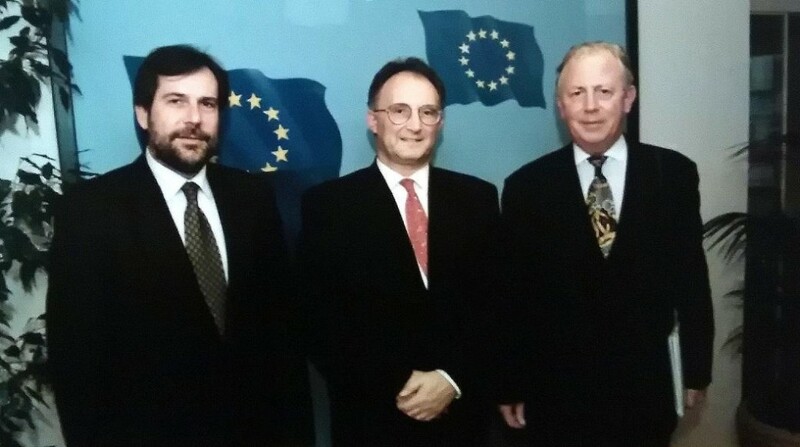 In Geneva in 1991 – prior to the Rio Earth Summit the following year – I had a number of meetings with the late Maurice Strong, Secretary General of the Summit, to discuss the place of Travel & Tourism in the meeting. That began a friendship and on my part, learning experience. It’s not only what Maurice taught me – simple, obvious things – but his steadfast belief in the principles of planetary co-existence, rights and duties, as well as the role that Travelism (Travel & Tourism) must play. 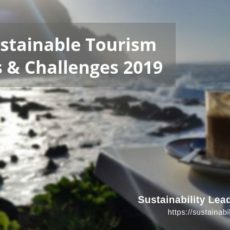 As the President (and only employee) of the then newly created World Travel & Tourism Council, I wanted to get my head around the sustainability issues. Back then we were preaching the importance of Travel & Tourism as a socio-economic agent, so sustainability was a crucial aspect. Later at the Rio conference [Earth Summit], I found myself among a handful of tourism people who were thinking about sustainability. It was the moment when some of the most thoughtful and committed people in the world joined together to make our future sustainable. I just wanted to be a part of it and believed that WTTC had a possibility and obligation to be in a leadership role. During the meeting I met many leading thinkers – most notably Jonathon Porritt (Founder of Forum for the Future), who convinced me that we needed to go further, faster. So I asked Maurice Strong what he would advise and he said do an Agenda 21-focused study of the tourism sector. We did that and shared it with UNWTO (WTO as it then was), and together held regional educational sessions on all continents to spread the findings and the sustainability message. My then Chairman at the WTTC, James Robinson (who was Chair of American Express), was incredibly supportive of this work, as were others in the Board, like Paul Dubrule and Gerard Pellisson of Accor. Without that early support nothing could have been achieved in WTTC, because sustainable development was not the raison d’etre of the organization. 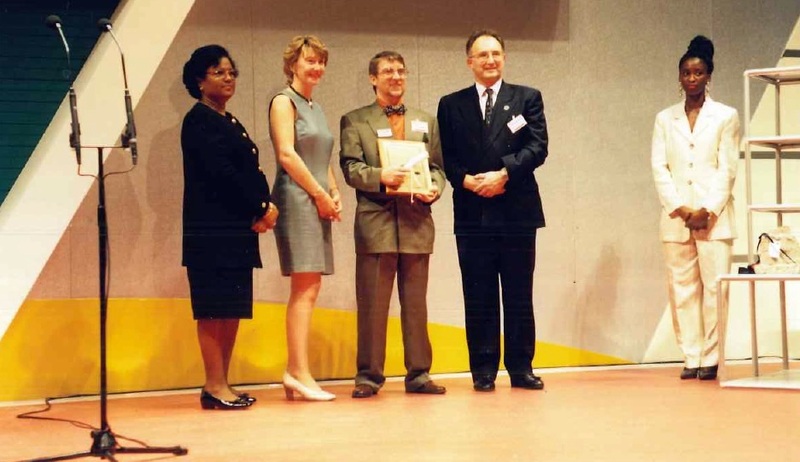 We created a research centre, launched one of the first industry certification programs – Green Globe, which later helped to spawn Earthcheck and CAST Caribbean. We also started some of the first Sustainable Travel & Tourism events and Awards with World Travel Market. What was your view of sustainable and responsible tourism when you started your professional career? I hadn’t thought about it – girls, rugby and beer seemed to be the key drivers – I joined IATA in the 1960’s and began a 20 year love affair with aviation (and the organization where I ended up as Executive Director) and that sector was not, in those days, focused on such issues. I considered the Club of Rome – where caring for the Planet emerged as a major discipline – to be somewhat academic and the limits of growth message to be out on a tree-hugger limb. I guess my first touch point with sustainability was in connection with competitiveness issues in aviation, and its growth potential. At that stage the sustainability dimension began to emerge in the form of concerns about noise and consumer representation – not so much greenhouse gas emissions. I usually found myself with sympathies for the greens, but with my focus on progressively opening markets and expanding the aviation system. 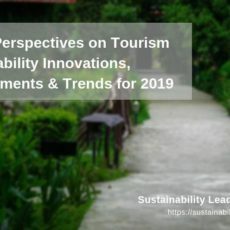 My understanding of sustainability has moved from a detail to a key issue and now to a fundamental part of the future of Travel & Tourism: during the last ten years it has become my central reality. People have been a big factor – not just Eco-warriors like Maurice Strong and Jonathon Porritt, but colleagues in the sector – public and private. 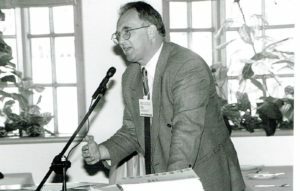 Those include my friend Professor Terry de Lacy from Victoria University, Australia, with whom I’ve worked in many countries and collaborated on developing green growth research, road maps and models, as well as co-authoring a couple of books and numerous journal articles. Of course, as you get older you hopefully get wiser – and I think the major shift has been since attending the Copenhagen Climate Summit in 2009, where I suddenly realized that existential means exactly that, and that it has to become my driving reality. Your thoughts on the Paris Summit on Climate Change? Bravo, Paris! Bravo Christiana Figueres for managing the process over so many countries and so many years. A big first step to set us on a new course, which of course will need ramping up in the decades ahead. You did what Copenhagen was planned to do in 2009. The 2015 Paris Climate Summit is not the end game, but a clear sign that global leaders are ready to adopt a new low-carbon, renewable energy-based model. The key will be in implementation, which will need action from the community level up – regions, cities, coastal zones, rural areas, parks etc. – delivering on this nationally committed global framework. And it’s essential that travel and tourism leaders and stakeholders sign on with comprehensive, targeted and measurable actions, not speeches and declarations. Your main insights as a leader in the tourism field? Above all, if Climate Change is existential – and I strongly believe it is – then we have to be at the leading edge of carbon reduction, renewables acceleration, biodiversity conservation and impact management. We have to meet the basic climate and sustainability tests of the international community. We have to support and create mechanisms that focus on this. Second, the more I read and listened, the more I learned (and hopefully understood) that as a minimum, we need green growth: growth for wealth creation, poverty reduction, jobs and trade, but green to minimize negative socio-environmental impact on people and places. I realised that this is not a message that mainstream “leaders” will truly advance until it becomes popular. Third, we need to do more to show what travel and tourism as an economic sector really embraces – the good and the bad, and that it cuts across many industries and government agencies, including transport, hospitality, events, as well as the infrastructure (both soft -people- and hard -structures-) without which the service industry wouldn’t function. 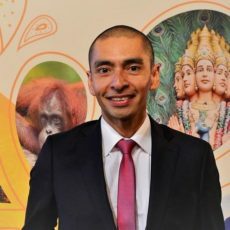 We all parrot the same growth and jobs data – that’s what we refined in WTTC and UNWTO – but we don’t have the granular level environment accounting (which exists) integrated with the tourism accounting – that is a fundamental requirement. Anyone who pushes around data of tourism growth should be obliged to show credible impact data. We must put as much resource into the green part as we put into the growth part, and get a balanced accounting scheme. And here’s an important issue – we need to share more and open up more – much of the mantra about growth is the same as we started in the 1990’s. Institutional leaders often repeat the same old PR and lobbying stuff, and the public sessions are often choreographed this way. Look at the trade show “debates”. Some of the work is puffed out of all reality or is self-perpetuating, some quite basic over-hype. We create speaking and soundbite events to satisfy our egos, not to keep up with the dynamics or make the tough changes – budget impacting changes. We call them Summits even when they are local…we call them High Level and too often they are not. The same people invite the same people and the media obligingly go along with the game. Looking ahead – which projects are you currently involved in? With colleagues at Victoria University we undertook an 18 month holistic Green Growth & Travelism study of Bali for the Government of Indonesia – it produced a long-term development roadmap for the island, but also tested interesting analytical models of sustainable development that engaged the local community and university from the get-go. We advised the Government of Egypt on similar issues at Sharm el Sheikh. 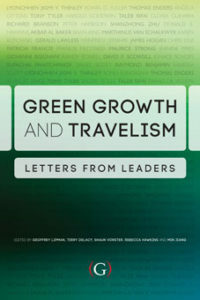 With the same colleagues we published a couple of books on Green Growth & Travelism, because we felt the need for some underpinning to this work. Subsequently we applied these principles in a Summer School model that we launched at the University of Hasselt in Belgium and will trial in China next year. With Wayne McKinnon we have developed a new form of transformation support for companies, called Green Growth 2050, that adds the post 2015 framework issues to traditional certification approaches.GreenGrowth2050 accommodates aspects of many United Nations principles and declarations linked to responsible practices and sustainability, as well as more tangible metrics on carbon, waste and water. It adheres to the Global Sustainable Tourism Criteria for Hotels and Tour Operators and works in partnership with ICTP, EQi and the Long Run to create a low-cost entry system for small and medium-sized companies, as well as easy online measurement and management. With others – and for me this is the most exciting – we have initiated the “SUN” Program, to create a connected, global community network of solar-powered prefabricated learning and capacity building centres that can operate off grid. They will focus on Climate Resilience, SDG Support and Emergency Response. The SUN Program brochure is available for download here. Can you tell us more about the SUN Program? “SUN” stands for Strong Universal Network because the Centres will promote the visionary approach to Sustainable Development. Each SUN-Ark Centre will be small, nimble and low cost / high value & “Smart Community” enabled. The challenge as always is to find supporters and sponsors – and to make the initiatives financially self-sustaining. That’s why I put so much faith in Green Growth 2050, which hopefully delivers valuable transformation services, and SUN which will hopefully be an essential, low-cost, support tool for Smart Communities. 3 books on sustainability and tourism which you recommend? Obviously the Green Growth & Travelism series – the first which gathered views of some 50 industry leaders and the second focusing more on Concepts and Practices. Finally, looking back at your professional journey now, what would you do differently? I would have stuck with some of the initiatives I launched, like Green Globe and the ST-EP Program, which frankly were taken over by different agenda and re-engineered, with the wrong focus. Likewise we simply failed to capitalize on the 2008 Davos Climate Declaration. I just moved on and in retrospect it would have been better to fight. I think it’s because I don’t have the stomach for the bureaucratic games that go on. Enjoyed our interview with Professor Geoffrey Lipman, on Green Growth and Travelism? Spread the word!